Part funding for a permanent arts and culture trail in Hoylake and Meols has been secured it has been announced. 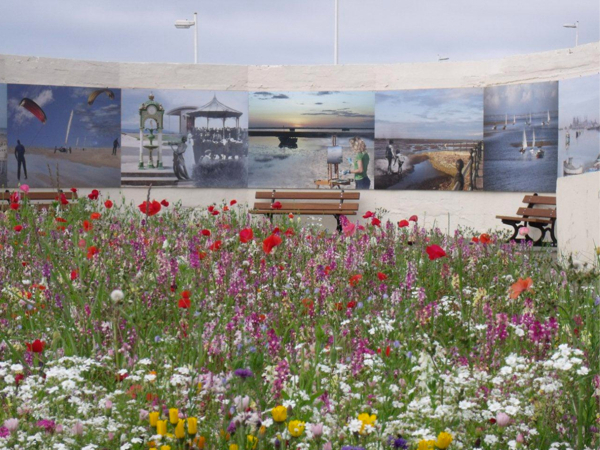 The permanent arts trail will run between Meols station and Hoylake station and will incorporate the promenade where some of the art works can already be seen (such as the mosaic and murals in Parade Gardens, pictured above). The project, put together by Festival of Firsts founder John Gorman, has received a £6,000 grant from Wirral Council as part of the Liverpool 08 Legacy Fund. One possible installation on the trail could be the OMD telephone box at Meols – perhaps it should be better cared for than it was when I took that photo a few years ago? What would you like to see included on the trail?